. : Penguinman Report #5: Penguinman 100K….back for the best conditions ever! 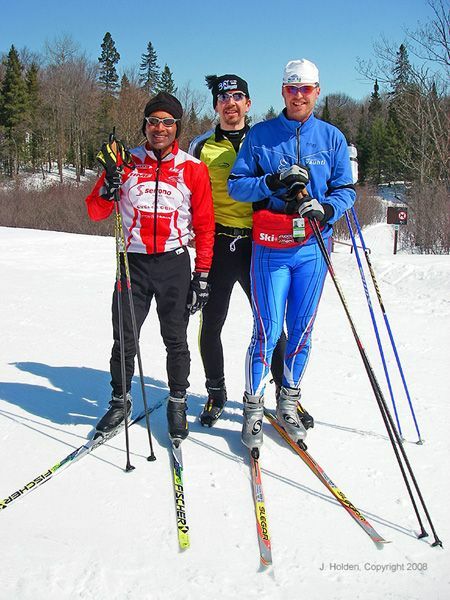 :: Ski XCOttawa.ca :: Skiing in Ottawa and Gatineau Park :. Penguinman Report #5: Penguinman 100K….back for the best conditions ever! Well, it seems like I am a bit late with my report, but here it is. On the drive home from Mont Valin 50K in mid March, Craig Storey, Wayne Dustin and I were talking about all the snow in Gatineau Park….over 14 feet total this year, yet no events left to do. So we put out a call on www.xcottawa.ca and a bunch of people jumped on board with less than 10 days of notice!!! I had missed the 100K in Forestville (www.boreal100Kloppet.ca) this year on account of being in Dallas for work. 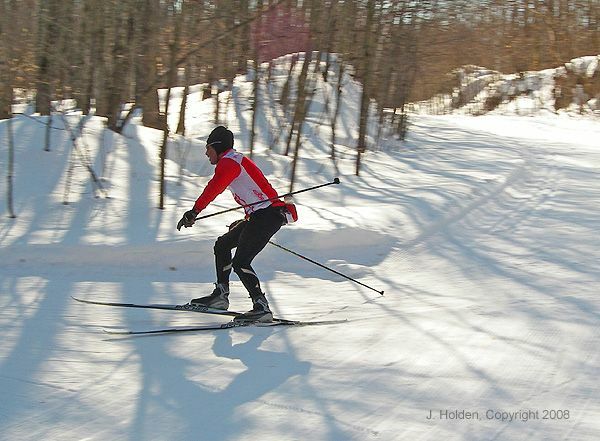 I had skied once from P3 (Gamelin) to Firetower before New Years (65K) and done another 70K ski in January, so I did not think that going to a 100K at the end of the season in March would be a huge stretch. But in the back of my mind I was thinking that I had not skied more than 2:55 (Lake Placid Loppet) since the end of January, so I needed to “respect the distance”! Knowing the times it takes me to ski various trails in the park, I anticipated that from P8 to the absolute summit of Penguin after the right turn would be in the range of 17 minutes…climbing up on loop 1 it was 18 minutes….so I made that my benchmark for the time going up. A long sustained uphill section is true test of fitness and pacing….you want to stay steady on all 4 loops, especially with 103.2K and 6600 ft of vertical ascent!!! Skiing with Craig Storey and Sheila Kealey we went at a steady conversational pace. Holding back...first loop was 1:34 for 25.8K. Then second loop I picked it up and came through 51.6K at 1:26, thanks to some nice company from Sheila (wow, she’s a good skier!!!). My climbs from P8 to the summit of Penguin (those of you have run it know how long this is) held at 17-18 minutes on all four loops…and the perceived exertion kept going up up up! Starting the third loop I knew that I had to keep the pressure on if wanted to break 6 hours, which I have been trying to do in 8 100K events since 2000. I needed to even split the course. I hate this situation...I prefer a couple of minutes of buffer for calamities. Through the third loop, the time was 1:29....I needed to do the fourth loop in 1:30. Along the way, I was having 400-500 calories of Inifinit (http://www.infinitnutrition.ca/) per loop, using my custom “ironman blend” with the electrolytes jacked up as high as possible and then adding a half teaspoon of salt on top of that in each bottle. . Aside from that, an extra granola bar per loop. By loop 4 I had consumed in the order of 1500 calories and 1.5L of liquid....on the fourth loop I just had 200 more calories from Infinit and 2 gels and opened up the tank, trying to break 6 hours. Thankfully, after Penguin and Khyber pass and the torture of the Trail 24 climb (reminiscent of the old Gatineau 55 climb from Meech Lake…), the rest was largely downhill. Arriving at Champlain on loop 4, I had to do the final 10K in under 30 minutes to break 6 hours. It was hard, great pacing and lots of fun...it took my 8 years to break 6 hours for 100K (in this case 103.8), but with a final TT from P9 to P8 I did it….5:59.30. Many thanks to all the participants. This is what sport is all about….doing it, because you can!